Owen Sharp, chief executive of the men’s health charity the Movember Foundation, has been appointed chief executive of Dogs Trust. He will succeed Adrian Burder, who died unexpectedly in October after a short illness. 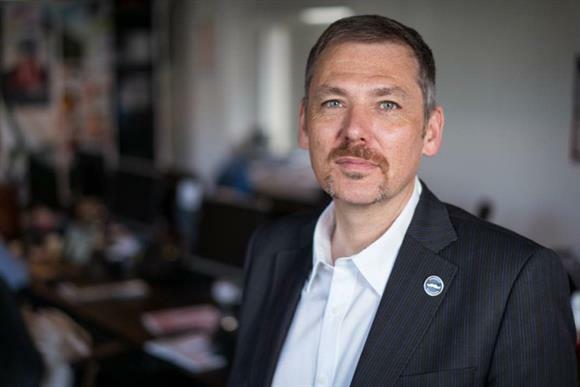 Sharp, who will take up the new role in July, joined Movember in October 2015 as chief operating officer before being promoted to chief executive in June the following year. Before joining Movember, Sharp was chief executive of Prostate Cancer UK. He has also been deputy chief executive of Victim Support. Jim Monteith, finance director at Dogs Trust, has been interim chief executive since November. He will work alongside Sharp for the first couple of months before retiring in the autumn after more than 16 years at the charity, although he will continue to support Dogs Trust as honorary treasurer. Monteith said: "Owen has a strong history of leading incredibly successful charities, including Movember and Prostate Cancer UK. "He impressed us with his wealth of experience, his thorough knowledge of the sector as well as his positive personality. He’s exactly the person we need to take up the reins here and we’re looking forward to him getting started." Sharp said Dogs Trust was a "much-respected force for good in the sector". He added: "As a dog lover and owner, I’ve found the charity to be a helpful source of information and advice. I couldn’t be happier to have the opportunity to lead the organisation." The charity declined to confirm how much Sharp would be paid for his new role. Dogs Trust’s annual accounts for 2017 show that its chief executive was paid between £150,001 and £160,000 during the course of the year.